Let us enjoy the very starting of the to be awesome new year 2016. The theme of the year should have to be one with love, humanity and compassion towards the international community. People in this world require pity and consideration should have to be provided with. Make the world a beautiful one with our sincere and innocent attitude. Hatred should not be there in our minds. Cast and creed should not be an obstacle in our way. The world faces lot of problems now a days.The world citizens should have to thrive to sort out all such problems. It is not easy to combat with nature's changing moods. Getting hot the earth is creating difficulties to the manhood. At least, the world should have to think seriously about the situation. While welcoming the year 2016, it is our duty to say good bye to 2015. 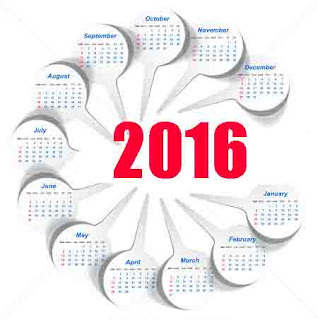 The year 2015 might have left us, leaving behind lot of memories in our minds. The memories may be sweet ones or bitter ones. In my personal account, two incidents were felt bitter and sad to me. It was the demise of my elder sister and brother-in-low. My elder sister was just like my mother. She was too elder to me. I loved both of them from my heart. The death of eminent scientist and the ex-president of India Dr. A.P.J Abdhul Kalam, happened in this year. The departure of Dr. A.P.J Abdhul Kalam is a great loss to India. He was the leading force behind the Indian space research activities. Being the ex-president of India, Abdhul Kalam led a simple and humble life. He never became greedy for wealth like many other leaders. People of India keep his memories in their hearts for ever. Considering to the maintenance of this blog chukkiri.com, 2015 was a good year for me. I had been involved more and more to make my blog beneficial. I made at least 19 articles this year, which is a record maintenance program compared to the previous years. I was committed to understand more about search engine optimization, blog traffic and monetizing of the blog in this year. Even though I suggested that 'make money online is not an easy task' in one of my previous articles, the effort of making the blog profitable will continue in the year 2016 too. Let the New Year 2016 enable me to fulfill the aspirations. Normally, my previous articles regarding the welcoming of New Year usually ended with few sentences. You can see the fact if you are visiting the archives of the blog. Now this article is long enough to complete 500 words. It is because of the requirement of the search engine optimization technique. As I concluding this article here, again say good-bye to 2015 and wishing everybody a 'Happy and Prosperous New Year - 2016' on behalf of chukkiri.com - a blog for the discussion of make money online. Interesting article and it is having good and effective information. It is really awesome to read. custom dissertation writing is making perfect documents to the graduates. good and press on send select any record. Today, inside Shareit Computer SHAREit SHAREit allows documents sharing with added safety best. good bluestacks in your PC you need Aptoide Apk data in aptoide installer Apk is, you do not have to produce any kind of account nice. thus you can download and enjoy this app on your computer, shareit app Is very popular and easy to use mobile and computer application. As far as the layout is worried,official site link the base of this table is absolutely open this site special.Due to the extraordinarily arched shape, check this site the table is extremely sturdy and also stable.Durable scale steel framework official source makes this table strong as well as resilient. You'll play on it for years!Since this charm has everything official guide that a true player would certainly desire, it's not shocking that it can be found in the homes of professional athletes. tubemate 2.2.8 download android is an application that allows you to watch and download video from Youtube to your smartphone for free. This is an essential application designed for those who love to watch videos and listen to music in their free time.